Hollywood and Science are not congenial colleagues. When their paths cross, as they so often do in science-fiction films, each feels the other must give way to the cultural absolutes of their different tribes. 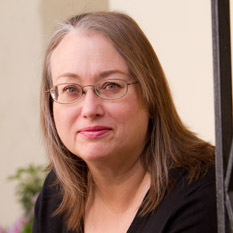 Hollywood says, "Story and Character must not be compromised." Science says, "The Real World must not be altered." I've witnessed arrogance and condescension from both sides of the divide, and I've failed in efforts to mediate. So I was impressed by a discussion at Caltech a couple weeks ago, where the man who created the world of "Avatar" shared a stage with four scientists -- and they all got along. Their words have stuck in my mind long enough to be remarkable -- hence this blog post. That night, Jim Cameron appeared at Beckman Auditorium with Caltech scientists Jess F. Adkins, John P. Grotzinger, Jared Leadbetter, and Robert Hurt. The auditorium was packed, as the science crowd came to see the man who made the biggest money-making film of all time. But what impressed me was Cameron's passion for science, his love of the natural world, and his drive to use film to share his passion and love with as many people as possible. He convinced me that, when The Planetary Society gave Cameron the first Cosmos Award for Public Presentation of Science in 2005, we gave it to the right person. The mutual respect among the filmmaker and the scientists came through loud and clear. Scientists often approach a film looking for a "gotcha" moment, when they can find a factual mistake and shake a finger at the filmmaker. Instead, this Caltech contingent seemed intrigued with the possibilities opened up by the world of Pandora, where "Avatar" is set. Leadbetter told how he got excited when he saw the film characters don gas masks to explore the alien world, for it meant an atmosphere toxic to humans, but with fascinating possibilities for creatures like the microorganisms on Earth that thrive where we would be poisoned. For those who haven't seen it, "Avatar" is set on Pandora, an inhabited moon orbiting Polyphemus, a gas-giant planet orbiting the star Alpha Centauri A in the closest star system to our own. With that proximity, it is not impossible that within that intermediate future, explorers from Earth might reach Pandora. But what technology could do it? Cameron thought about that question "to an unhealthy level" and decided to use a propulsion system combo -- an antimatter system to decelerate and a beamed-energy light sail for the outbound journey. Let's see...a light sail accelerated by beamed energy? Does that sound familiar? It should, if you've been following the Planetary Society's solar sail program for a while. Solar sails, pushed by laser beams in our solar system, are the only technology known today that might one day take humanity to the stars, and while we're starting small with LightSail 1, built with Cubesats and heading for Earth orbit, our very-very-very-long-range goal would be interstellar flight. As to the "Avatar" plot line, it's driven by greed for the newly discovered element, "unobtanium." Cameron admitted the film never explains exactly what unobtanium is for, but that it seems to act as a superconductor at room temperature whereas, in the known world, all known superconducting substances must be cooled way below the freezing point of water. This makes unobtanium extremely valuable back on Earth, hence the drive to expand mining operations on Pandora. Some of the most spectacular visual effects -- like floating mountains -- were inspired by possibilities drawn from nature. Pandora possesses a large molten core, which generates a powerful magnetosphere. As Cameron explained, in a powerful magnetic field, the superconducting unobtanium levitates. 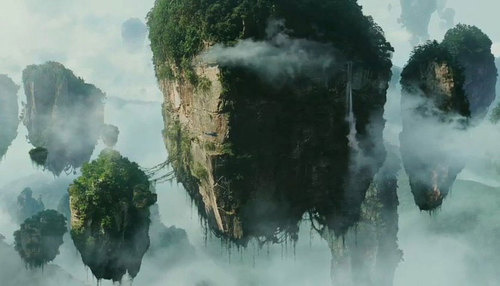 So if you have mountains rich in unobtanium, you can have the floating Hallelujah Mountains of Pandora (visually based on the Huang Shan mountains of China.) Although, as Cameron admitted, to do that a magnetic field would have to be strong enough to rip the iron from the hemoglobin in your blood. But for the sake of the film, in this instance he was willing to compromise on the science. So maybe a magnetic field strong enough to lift unobtanium mountains into the air would rip the iron from your blood -- it's a spectacular image that helped make the world of Pandora such an engrossing place. To create the plants and animals of Pandora, Cameron and his team took small things, familiar to us on Earth, made them large and placed them out of context. 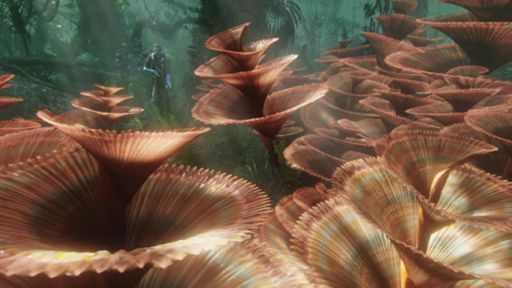 For example, as our film hero begins to explore the forest floor on Pandora, he encounters a group of large, spiral plants, called Helicoradium spirale, that retract into the ground at the slightest touch. If you're familiar with underwater world, you'll immediately recognize this Pandoran plant as based on the "Christmas tree" tubeworms common in Earth's tropical oceans. Type "Christmas tree worm image" into your internet browser and you'll get hundreds of underwater scenes with the photogenic tube worms that inspired these Pandoran plants in the film "Avatar." The question naturally arose about why a filmmaker would expend so much time and thought in creating a scientifically reasonable world. Cameron said he made "Avatar" to reconnect with their childlike sense of wonder and to strengthen their connections to the natural world. "But," he commented, "if I said that, people wouldn't go see it." For Cameron, his "biggest success is not measured financially, but by the deep impression" the film makes on the people who see it, so that they will "feel compelled to do something" to protect the environment of the planet we live on. Both Hollywood and Science depend on imagination to create, a both have the power to help us better understand our world. It was refreshing, that night at Caltech, to see people from the two cultures respect each other -- and even enjoy each other's company. It can only help. About Jim Cameron winning the inaugural Cosmos Award, click here.